While flying cars aren't here quite yet, at least one part of America is about to implement technology worthy of Back to the Future II, when driverless cars launch in Ann Arbor, MI this July. 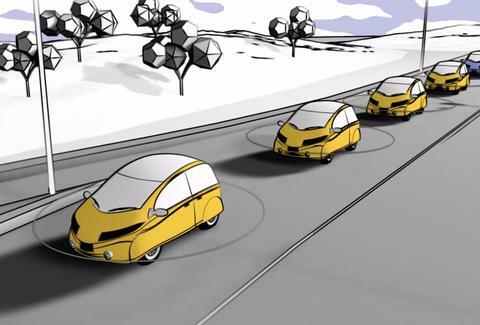 M City, a 32-acre testing ground for driverless and connected cars being built on the North Campus of the University of Michigan, will resemble an average city, with a circuit of roads, traffic signals, and even pedestrians. The difference, of course, is that there won't be any douchebags behind the wheel. In fact, there won't be anybody behind the wheel. Provided everything goes smoothly in M City -- and the machines don't become self-aware -- it’s hoped that an “automated mobility system” will be rolled out across more of southeastern Michigan by 2021, before spreading across the US. Which could mean pantless pizza deliveries for every American -- truly, the American dream.